It was so much fun to be able to photograph the home of my good friend, Sally Jensen of Sally Jensen Interiors. 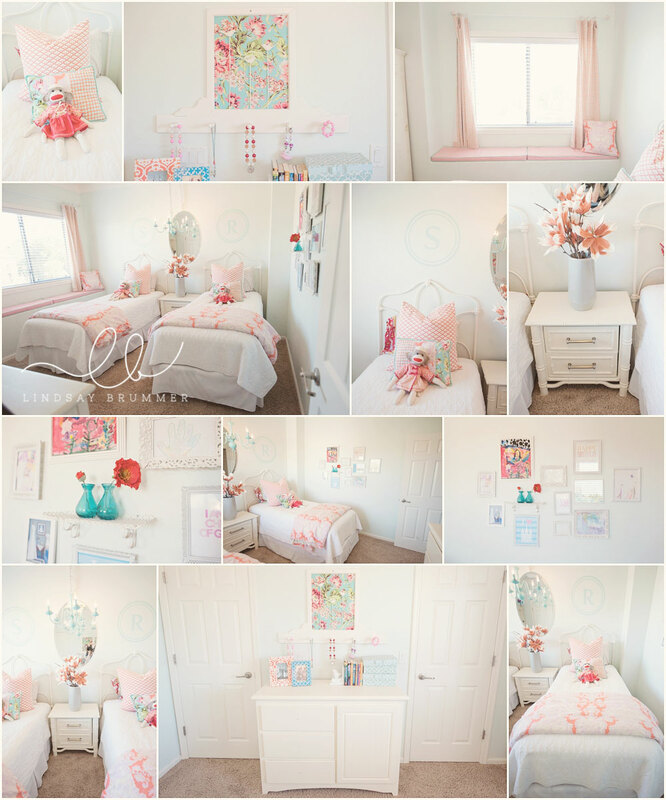 Here is the adorable bedroom for her two oldest kids, both sweet, sweet girls. Sally is a master at adding fun textures, prints and colors to help liven up your space; this room is as sweet in person as it is in photos.